A new resource for affiliate leaders has been posted on the IAFF’s web site on the legal rights and responsibilities of members, officers, and affiliates – and employers – when it comes using online media. As more and more members blog, text, tweet, Facebook, Meetup, post, email, or g-chat, the legal and workplace pitfalls of that activity are becoming a critical battleground. Communicating with members using these media also present legal concerns for affiliates and their officers. 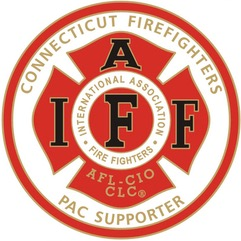 The IAFF has developed a manual, in question-and-answer format, to help educate officers on these ever-developing issues. The manual is download-only, and available to any affiliate officer registered on the IAFF web site. To register, click here. To download the “The Law and the Internet for IAFF Affiliates,” visit the Legal Department’s web page. Fire departments are best equipped to deliver emergency medical services, according to a new whitepaper, Prehospital 911 Emergency Medical Response: The Role of the U.S. Fire Service in Delivery and Coordination. Released at the IAFF Dominick F. Barbera EMS Conference in Houston, Texas, June 24-27, the 13-page report -- written and prepared by top EMS physicians -- outlines the time-critical role fire-based EMS provides, and stresses the need to educate policymakers about the importance of fire-based EMS.